Last year few books defined 'Sleeper Hit' as much as The Muppets comics from BOOM! Studios. Underscoring the massive pull Jim Henson's family-friendly creations have, Flight of the Conchords co-creator James Bobin, has signed on to direct a new Muppets movie for Disney, which the house of mouse has labelled a priority in their goal of creating more branded entertainment. When original directors, Phil Lord and Chris Miller surprisingly flipped the job, to work on of all things a movie adaptation of 21 Jump Street for Sony, Bobin, became Disneys lead choice. 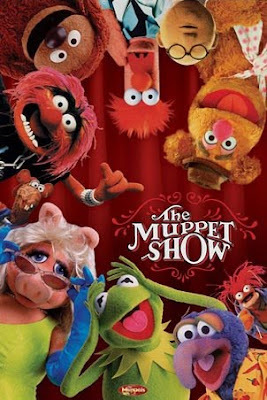 Now The New York Magazine reports James is expected to restore a musical nature to the Muppets, as they unleash Beaker, the Swedish Chef, Animal and co. on audiences both old and new. As for this 'old' audience member, as long as Statler and Waldorf get a few decent lines in, you can consider my ticket sold.